An official Palestinian Authority (PA) daily op-ed has accused the United States of being behind all the chaos and civil wars in the Muslim and Arab world, including the longest and oldest fight from right after Mohammed's times between the Sunni and Shi'ite Muslims. 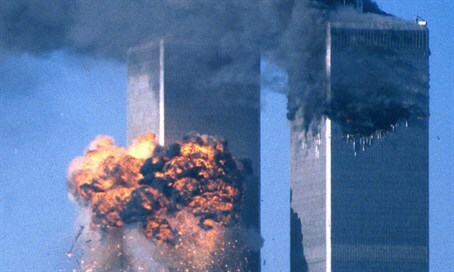 According to Palestinian Media Watch (PMW), the PA writer claims that this turmoil is the direct result of the September 11th attacks on the US, stating that the US utilized this attack to create "an imaginary enemy called 'terror,' and it supervised the cultivation of the idea until it ripened into what is known today as the Islamic State organization." Moreover, the writer claims that the facts indicate that the US itself is the number one suspect in the 9/11 terror attack. This type of conspiracy theory has been voiced often in the official PA daily, and sometimes includes Israel as a collaborator. Abbas’s daily has previously blamed the US for establishing the Islamic State (ISIS) terror organization, and for being responsible for all the crises and wars in the Middle East. “In order to do this, it used the events of Sept. 11, 2001, even though that event raised many questions that place the US in the defendant's seat, as was exposed later in a series of facts and reports. However, out of this event the US succeeded in creating an imaginary enemy called 'terror,' and it supervised the cultivation of the idea until it ripened into what is known today as the Islamic State organization,” wrote Al-Fara. “Naturally, it will not find a better chord than the Sunni-Shiite conflict on which to play the tune of the next war in the region. Moreover, the fire burning in the region has even turned the wheels of the traditional American arms industry in an unprecedented way, while the US pays no price for the anarchy it has created in the region. This is so as the 'terror' has not reached (the US') yard as has happened in the European states, and (the US) has not been forced to open its gates to the immigrants who have flocked to Europe,” concluded Al-Fara.